Gregory Schnaar, Ph.D., is a Principal Environmental Scientist and Hydrologist with more than 10 years of professional experience. He has served as an expert technical consultant to the U.S. Environmental Protection Agency (U.S. EPA) Office of Ground Water and Drinking Water on potential groundwater contamination associated with Carbon Capture and Storage (CCS, also known as geologic sequestration of carbon dioxide) projects, and he has authored U.S. EPA technical guidance documents and performed various trainings on potential groundwater and vadose zone contamination. He has provided expert support to clients for matters in state court. 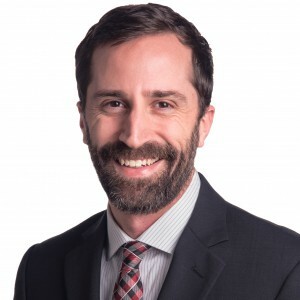 Dr. Schnaar’s practice focuses on applying quantitative hydrologic methods to evaluate contaminant transport and conduct water resources assessments, including applying numerical and analytical models, forensic environmental evaluation, and statistical analysis. His recent projects have involved vapor intrusion evaluation, nonaqueous phase liquid (NAPL) modeling, age-dating of environmental releases, multi-party remedial-cost allocation, and basin-scale groundwater safe yield studies. Dr. Schnaar also manages environmental field programs, including collecting groundwater, surface water, vadose zone water, soil, and vapor samples. His research has been published in Environmental Science and Technology; Water Resources Research; Journal of Environmental Science and Health; Vadose Zone Journal; and Chemosphere. He has managed environmental and water resource investigations in California, Arizona, Maryland, Illinois, Ohio, Pennsylvania, and Washington. To support clients on a variety of issues, he has reported to and participated in negotiations with the U.S. EPA, California Department of Toxic Substances Control (DTSC), Los Angeles Regional Water Quality Control Board, and Arizona Department of Environmental Quality (ADEQ). He has conducted work to ensure compliance with the Comprehensive Environmental Response, Compensation, and Liability Act (CERCLA), Resource Conservation and Recovery Act (RCRA), Clean Water Act (CWA), Safe Drinking Water Act (SDWA), and vapor intrusion guidance published by the U.S. EPA and the states of California, Arizona, and Ohio. Schnaar, G., J. Dodge and S.J. Cullen, 2016 (invited paper). Comprehensive groundwater balance development to characterize selenium loading to surface water channels in Orange County, California. Journal of Contemporary Research and Education, 159: 5-23. Schnaar, G., T. Umstot, and S.J. Cullen. 2013. Correction To: “Birkholzer, J.T. et al., 2011, Brine flow up a well caused by pressure perturbation from geologic carbon sequestration: Static and dynamic evaluations. International Journal Greenhouse Gas Control; Vol. 5: 850-861.” International Journal of Greenhouse Gas Control, 17: 542-543. Schnaar, G., and M.L. Brusseau. 2013. Measuring equilibrium sorption coefficients with the miscible-displacement method. Journal of Environmental Science and Health, Part A, 48: 355-359. Brusseau, M.L., G. Schnaar, G.R. Johnson, and A.E. Russo. 2012. 10 – Impact of co-solutes on sorption of tetrachloroethene by porous media with low organic-carbon contents. Chemosphere, 89: 1302-1306. Brusseau, M.L., A.E. Russo and G. Schnaar. 2012. Nonideal transport of contaminants in heterogeneous porous media: 9 – Impact of contact time on desorption and elution tailing. Chemosphere, 89: 287-292. Russo, A., Johnson, G.R., Schnaar, G., and M.L. Brusseau. 2010. Nonideal transport of contaminants in heterogeneous porous media: 8. Characterizing and modeling asymptotic contaminant-elution tailing for several soils and aquifer sediments. Chemosphere, 81(3): 366-371. Schnaar, G. and D.C. Digiulio. 2009. Computational modeling of the geologic sequestration of carbon dioxide. Vadose Zone Journal 8: 389-403. Brusseau, M.L., Narter, M., Schnaar, G. and Marble, J. 2009. Measurement and Estimation of Organic-liquid/Water Interfacial Areas for Several Natural Porous Media. Environmental Science & Technology, 43(10): 3619-3625. Brusseau M.L., Janousek H., Murao A., and G. Schnaar. 2008. Synchrotron X-ray microtomography and interfacial partitioning tracer test measurements of NAPL-water interfacial areas. Water Resources Research. 44, W01411. Brusseau, M.L., Peng, S., Schnaar, G., and A. Murao. 2007. Measuring air-water interfacial areas for a sandy porous medium: comparing X-ray microtomography and partitioning tracer tests. Environmental Science and Technology. 41(6) 1956-1961. Schnaar, G. and M.L. Brusseau. 2006. Characterizing pore-scale dissolution of organic immiscible liquid in natural porous media using synchrotron X-ray microtomography. Environmental Science and Technology. 40(21) 6622-6629. Schnaar, G. and M.L. Brusseau. 2006. Characterizing pore-scale configuration of organic immiscible-liquid in multi-phase systems with synchrotron X-ray microtomography. Vadose Zone Journal 5: 641-648. Brusseau, M.L., Peng S., Schnaar, G., and M. Costanza-Robinson. 2006. Relationships among air-water interfacial area, capillary pressure, and water saturation for a sandy porous medium. Water Resources Research. 42, WO3501. Schnaar, G. and M.L. Brusseau. 2005. Pore-scale characterization of organic immiscible-liquid morphology in natural porous media using synchrotron X-ray microtomography. Environmental Science and Technology. 39(21) 8403-8410. Woodward N.B., Levine, A. D., Singer, M., Kobelski, B.J., Fries, J.S., Schnaar, G., Burruss, R.C., Duncan, D., Glynn, P., Neuzil, C., Huntsinger, R., Osvald, K.S., Carlson, C.P. 2008. Water Resources Research Needs Associated with Implementation of Geologic Sequestration of Carbon Dioxide. A report to the White House Office of Science and Technology Policy, Committee on Environment and Natural Resources, Subcommittee on Water Availability and Quality. Schnaar, G. and D.C. Digiulio. 2008. Computational modeling of underground injection of carbon dioxide for determination of area of review and potential risk to underground sources of drinking water. Supporting document to: Federal Requirements Under the Underground Injection Control (UIC) Program for Carbon Dioxide (CO2) Geologic Sequestration (GS) Wells; Proposed Rule. Federal Register Vol. 73, No. 144, Friday, July 25, 2008. Schnaar G., and S.J. Cullen. 2009. The Hydrology of Geologic Sequestration. Southwest Hydrology, 8: 20-21. Schnaar, G. 2008. U.S. EPA Development of a Proposed UIC Rule for Geologic Sequestration of CO2. National Ground Water Association, AGWSE Newszine, July 16 2008. Schnaar, G. 2017. Lessons learned in developing defensible groundwater budgets and evaluating sustainability indicators. American Ground Water Trust/Association of Ground Water Agencies joint Annual Conference. Ontario, California, February 15-16, 2017. Cullen, S.J., G. Schnaar, and M. Cruikshank, 2016. Groundwater Planning and Estimating Safe Yield in California under the Sustainable Groundwater Management Act. Hydrology and the Law, Law Seminars International, Santa Monica, California, September 16, 2016. Dodge, J.J., G. Schnaar, S.J. Cullen, and J. Peng, 2015. Selenium Geohydrology, Swamp of Frogs, Newport Bay Watershed, Orange County, California. Presentation at the Geological Society of America 2015 Annual Meeting, Baltimore, Maryland. November 1, 2015. Umstot, T., G. Schnaar, N. Blandford, S.J. Cullen, P. Kaiser, J. Ayrabe. 2015. Recharge estimates from a soil water-balance model improve groundwater model calibration. MODFLOW and More 2015: Modeling a Complex World. Golden, Colorado, May 31 – June 3, 2015. Dodge, J.J., G. Schnaar, S.J. Cullen, and J. Peng, 2015. Selenium Geohydrology, Swamp of Frogs, Newport Bay Watershed, Orange County, California. Association for Environmental Health and Sciences (AEHS) 25th Annual International Conference on Soil, Water, Energy and Air. San Diego, California. March 23 – 26, 2015. Sweetland, N.T., S.J. Cullen and G. Schnaar. Vapor Intrusion from Groundwater Plumes: Critical Technical and Regulatory Issues. 2015. 2015 National Ground Water Association (NGWA) Groundwater Summit, San Antonio, Texas. March 16 – 18, 2015. Dodge, J.J., G. Schnaar, S.J. Cullen and J. Peng. 2014. Drainage Channels Remobilize Selenium, Swamp of the Frogs, Newport Bay Watershed, Orange County, California. Groundwater Resources Association of California/U.S. Society for Irrigation and Drainage Professionals. Groundwater Issues and Water Management – Strategies Addressing Challenges of Sustainability and Drought in California, March 4-5, Sacramento, California. G. Schnaar, J. J. Dodge, S. J. Cullen, and J. Peng. 2012. Water Balance Development to Characterize Selenium Flux, Newport Bay Watershed, Orange County, California. Groundwater Resources Association of California-Salt and Nitrate in Groundwater: Finding Solutions for a Widespread Problem, June 13-14, Fresno, California. G. Schnaar. Federal UIC Regulations for Geologic Sequestration: An Integrated Approach of Site Characterization, Modeling, and Monitoring. American Association of Petroleum Geologists (AAPG) Rocky Mountain Section Annual Convention, June 2010. Durango, Colorado. G. Schnaar. CO2 Geologic Storage: Simulation for Regulators. International Energy Agency (IEA) CO2 Geological Storage Modeling Meeting, February 2010. Salt Lake City, Utah. G. Schnaar. Geologic Sequestration of Carbon Dioxide: Models, Codes, and Federal Regulations. TOUGH Symposium, September 2009. Berkeley, California. N. Sweetland. P. Schauwecker, and G. Schnaar. MTBE Products Liability Litigation: The Role of Hydrogeologic Investigation. International Network of Environmental Forensics Conference, September 2009. Calgary, Alberta. G. Schnaar. Federal Regulations for Geologic Sequestration of Carbon Dioxide. Air & Waste Management Association, Carbon Sequestration 101 (via webinar), February 2009. G. Schnaar. Standards for Geologic Sequestration of Carbon Dioxide, EPA Proposed Rulemaking, Signed July 15, 2008. Big Sky Regional Carbon Sequestration Partnership Annual Meeting, October 2008. Spokane, Washington. EPA Region 8 State UIC Workshop, October 2008. Salt Lake City, Utah. WESTCARB Regional Carbon Sequestration Partnership Annual Meeting, October 2008 (via webinar). Anchorage, Alaska. EPA Region 7 UIC Manager’s Meeting, September 2008 (via webinar). Kansas City, MO. Ground Water Protection Council Annual Meeting, September 2008. Session: Underground Injection Control (UIC) and Geosequestration Seminar. Electric Power Research Institute Fall Environment Council Meeting, September 2008. Baltimore, Maryland. Edison Electric Institute Global Climate Change Subcommittee Meeting, July 2008. Savannah, Georgia. G. Schnaar and N. Sweetland. Geologic Sequestration of Carbon Dioxide: Potential impacts to groundwater resources, the U.S. regulatory framework, and lessons learned from previous injection activities. Groundwater Resources Association of California Climate Change: Implications for California Groundwater Management, August 2008. Sacramento, California. Brusseau, M.L., Janousek H., Murao A., and G. Schnaar. Synchrotron X-ray microtomography and interfacial partitioning tracer test measurements of NAPL-water interfacial areas. American Geophysical Union Fall Meeting, December 2007. Session: Pore-Scale Modeling and Imaging of Multiphase Flow, Solute Transport, and Biogeochemical Processes in Porous Media. San Francisco, California. Marble, J.C., Narter M., Schnaar G., and M.L. Brusseau. Characterizing air-water interfacial area for variably saturated porous media. American Geophysical Union Fall Meeting, December 2007. Session: Pore-Scale Modeling and Imaging of Multiphase Flow, Solute Transport, and Biogeochemical Processes in Porous Media. San Francisco, California. Schnaar, G. and M.L. Brusseau. Characterizing pore-scale dissolution of organic immiscible liquid in natural porous media using synchrotron X-Ray microtomography. American Geophysical Union Fall Meeting, December 2006. Session: Quantitative Pore-Scale Investigations of Multiphase Bio/Geo/Chemical Processes. San Francisco, California. Brusseau, M.L., Schnaar, G., Marble J. Measured air-water and NAPL-water interfacial areas for sandy porous media: comparing X-ray microtomography and partitioning tracer test methods. American Geophysical Union Fall Meeting, December 2006. Session: Quantitative Pore-Scale Investigations of Multiphase Bio/Geo/Chemical Processes. San Francisco, California. Brusseau, M.L., Schnaar, G., Peng S., Marble J. Relationship between air-water interfacial area and water saturation for sandy porous media. Soil Science Society of America International Meeting, November 2006 (Oral Presentation by G. Schnaar). Session: NRI’s Soil Processes Program: Reports, Assessments and Future Directions. Indianapolis, Indiana. Schnaar, G. and M.L. Brusseau. Pore-scale characterization of organic immiscible-liquid morphology in natural porous media using synchrotron x-ray microtomography. University of Arizona Dept. of Hydrology and Water Resources Student Showcase, 2006 (Oral Presentation). Tucson, Arizona. Superfund Basic Research Program Annual Meeting, 2006. New York, New York. American Geophysical Union Fall Meeting, 2005 (Oral Presentation). Session: Advances in Characterizing and Remediating Nonaqueous Phase Liquid Source Zones: From Pore Scale to Field Scale. San Francisco, California. Brusseau, M.L., Peng, S., Schnaar, G., and M. Costanza-Robinson. Relationships among air-water interfacial area, capillary pressure, and water saturation for a sandy porous medium. American Geophysical Union Fall Meeting, 2005. Session: Pore-Scale Processes and Their Effect on Continuum and Field-Scale Hydrology. San Francisco, California. Schnaar, G. and M.L. Brusseau. The impact of non-ideal sorption on low-concentration tailing behavior for chlorinated solvents in aquifer material. University of Arizona Water Sustainability Program Fall Forum, 2005. Tucson, Arizona. American Geophysical Union Fall Meeting, 2004 (Oral Presentation). Session: Mass Transfer and Mass Flux Processes in Source-Zone Systems. San Francisco, California. University of Arizona Superfund Basic Research Program and Southwest Environmental Health Sciences Center 8th Annual Science Fair, 2004. Tucson, Arizona. Arizona Hydrological Society Annual Symposium, 2004 (Oral Presentation). Tucson, Arizona.